We are giving away a pair of tickets to Mac DeMarco @ Eugene’s McDonald Theatre on May 9. To win, comment on this post why you’d like to attend. Winner will be drawn and emailed Monday, April 29. 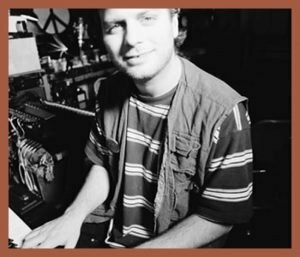 Before you ancients out there turn your heads and scoff at the premise of a twenty-something rock-and-roll goofball calling himself an old-anything, consider this: said perpetrator, he who answers to the name Mac DeMarco, has spent the better part of his time thus far writing, recording, and releasing an album of his own music pretty much every calendar flip, and pretty much on his own. The fresh meat you’re now feasting on, This Old Dog, makes for his fifth in just over half a decade—bringing the total to 3 LPs and 2 EPs. According to the DMV, MacBriare Samuel Lanyon DeMarco is 28. But in working-dog years, ol’ Mac here could easily qualify for social security. To stay gold, turns out all he needed was some new tricks. Love Mac! Would be amazing to see him live. Mac in Eugene sounds like a blast! You should DEFINITELY pick me because I LOVE Mac Demarco!!!!! I would love to take my fiencé to this, he’s a fan! I introduced my sister to Mac DeMarco about 4 years ago and she has become an even bigger Mac fan than me over these last few years. It would be cool to be able to go to this show together ! My friend is going through a rough spot right now and I’d love to hook him up with Mac Demarco tickets. My best friend’s birthday is coming up and he deserves to treated to a fun how like Mac! Would love to take my son to this show! This would be an amazing event I could take my father to! I saw Mac Demarco at the smallest stage of Sasquatch years ago before he blew up. I’d love to chance to see him in a beautiful amphitheater now. I’d like to see him live. That would be cool. I’m a huge fan and haven’t had a chance to see him. I always miss tickets or have an event. Really excited for the new album! I need to check out some new (to me) artists. Bring it on! Mac’s music has gotten me thorough a lot of tumultuous times in my life. His last album especially deals with a lot of issues I’ve been having too. It would be so cool to see him!